Fidonet BBS Telnet Tour Video. See how we connected by dial up modem to send messages worldwide before the net went public. Take a trip back in time to see how we communicated long before the internet became mainstream. Back to the days when we thought 56k Modems were FAST! 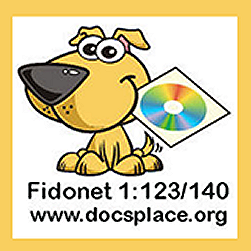 Doc’s Place BBS offers the complete Fidonet Messaging Backbone. Surf on in with your favorite web browser and read and reply to messages online, or download a QWK packet and read and reply offline to the messages. 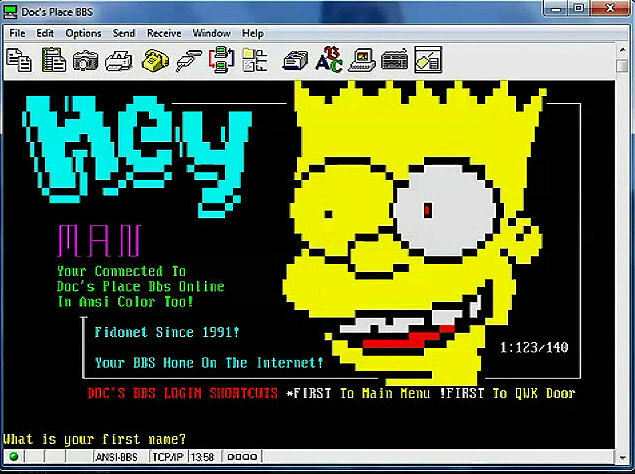 Or to see the BBS just like the old timers did, connect via Telnet. Note our telnet service has moved to Port 26. 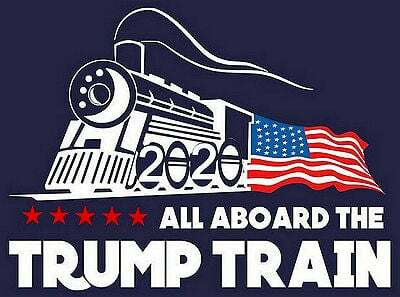 See this announcement for details.